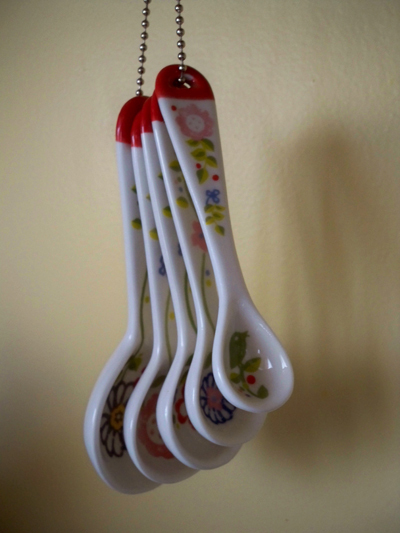 Aaron broke two of my measuring spoons so he got me these super cute ones to make up for it. I love them! Some of them have little birds on them. Almost to cute to use. Oh man! Those are way cute! Where did he get them? holy moley! I thought I had a great husband but yours is just amazing with the gifts.